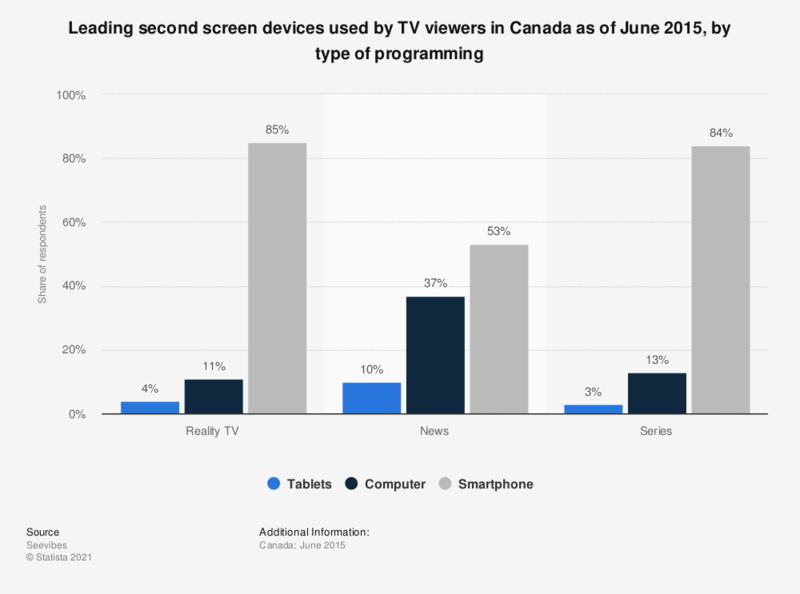 The statistic provides information on the leading second screen devices used by TV viewers in Canada as of June 2015, broken down by type of programming. According to the source, 53 percent of Canadians second screen users accessed a smartphone while watching the news on TV. The same was true for 85 percent of Canadians multitaskers watching reality TV programming. The source did not provide information on the sample number or the type of survey.